Tulsa Truck Works has experienced staff available to provide custom in house tuning to tune your vehicle. Optimizing trailer towing, hitting the trails on the weekend, everyday driving and anything in between. Whether you need your truck to perform for big loads and hauling or simply the solid workhorse you need it to be, we can find that sweet spot for you. Tuning is available for all the major brands (Edge, SCT, Superchips, Hypertech); we also feature custom in-house tuning with EFI Live. Custom exhausts featuring Magnaflow, Flowmaster, Boria are available; anything from bolt on cat back systems to full custom setup. 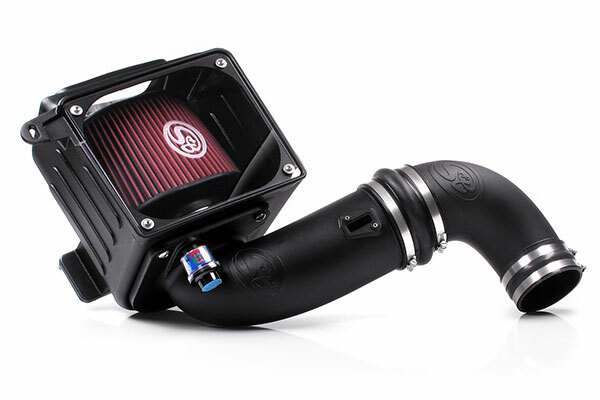 Cold air intakes from S&B, AFE, Volant and many other major brands. All of these elements combine to make your vehicle perform better and potentially improve gas mileage as well.